Three styles of 8-Piece Comforter Set, originally $100 each, are now $34.99 each at Macys.com, no promo code needed. This is the lowest price we could find. Each set includes a comforter, bedskirt, one or two shams, and a three or four-piece sheet set. The Eva design is pictured. Shipping starts at $9.95 or is free on orders of $75 or more. Sales tax is charged in most states. Save up to 50% on name-brand makeup and fragrances at Macys.com. Shipping is free on beauty orders over $49, or it starts at $9.95 otherwise. 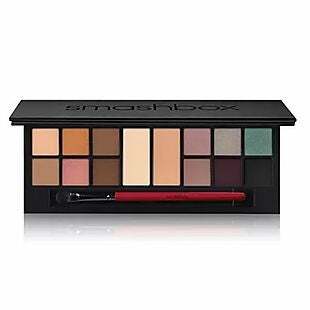 Some items are discounted even further, such as this Smashbox Eye Shadow Palette, which drops from $58 to $20. That's a savings of 65% and it ties with the lowest price we've ever seen. Also, this 3-Piece Benefit Cosmetics Highlighter Set goes from $18 to $8.99. All other sites are charging over $20. Sales tax is charged in most states. These Idea Nuova Bath Collection Sets drop from $60 to $17.99 at Macys.com. Shipping is free when you spend $75, otherwise it starts at $9.95. You can also pick up in your local store, if available, to avoid a shipping fee. There are four sets to pick from, including this Charlotte Set and the pictured Catalina Set. Each set includes a 70" x 72" shower curtain, 20" x 30" bath rug, and 12 shower hooks. This is the best price we found for these sets by $20 and it beats our last mention by $3. Sales tax is charged in most states. Choose from more than 100 styles of women's tops with prices under $10 during this sale at Macys.com. Shipping is free on orders over $75. Otherwise, it starts at $9.59. You can also choose in-store pickup to avoid shipping fees. The promotion includes this Thalia Sodi Love Graphic-Print Top, which lists at $39.50 and was already on sale for $9.99. You can get it for $7.99 when you apply the code SALE in your cart. 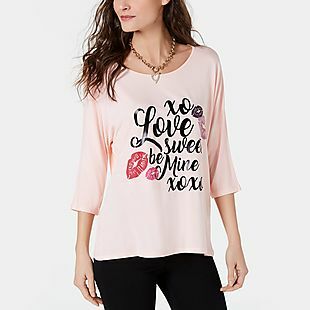 This Maison Jules T-Shirt falls from $12.99 to $3.76, with no code required! These styles are only available at Macy's. Sales tax is charged in most states. Shop 16-piece dinnerware sets between $23.99 and $31.99 when you apply code SALE at checkout at Macys.com. Shipping is free on orders of $75, or it adds $9.95 otherwise. The pictured Tabletops Unlimited Emma Set drops from $72 to $31.99 with the code, becoming the best price we could find by around $2. Each set includes four dinner plates, salad plates, cereal bowls, and mugs. There are 17 different sets within this price range. Sales tax is charged in most states. These Martha Stewart Essentials Quilt and Tote Sets drop from $100 to $49.99 at Macys.com. Shipping is free when you spend $75 or else it starts at $9.95. Check your local store for free pickup to save on shipping. Choose from four prints and three solid colors, including the pictured Spring Floral Set. These are the best prices we found by $10 based on similar styles. Sales tax is charged in most states. 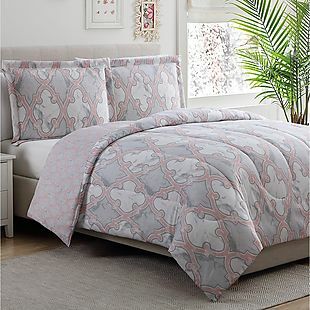 These Carrerra Reversible 2-3pc Comforter Sets drop from $80 to $27.99, no promo code needed, at Macys.com. Twin, full/queen, and king sizes are available at this price, which is the lowest we could find. Shipping starts at $9.95 or is free on orders over $75. Free in-store pickup may be available near you. Sales tax is charged in most states. 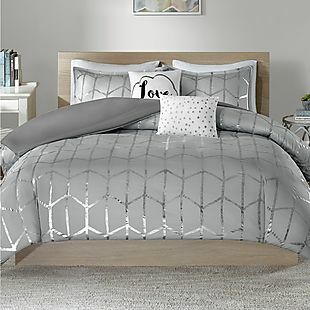 Shop Macys.com for up to 65% off Intelligent Design bedding, window treatments, and throws, and use code SALE on select marked items for an extra 20% off. 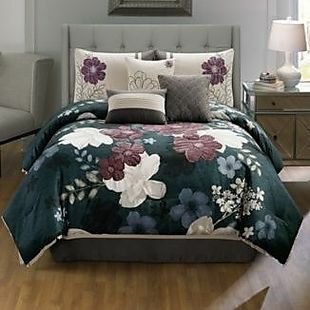 The pictured Raina Comforter Set in full/queen drops from $140-$170 to $48.99-$69.99, depending on size. And check out the 50" x 84" Grommet Window Panels, once $65, now dropping from $31.99 to $25.59 when you enter code SALE at checkout. Shipping is free with a $75 order, otherwise it starts at $9.95. Sales tax is charged in most states. 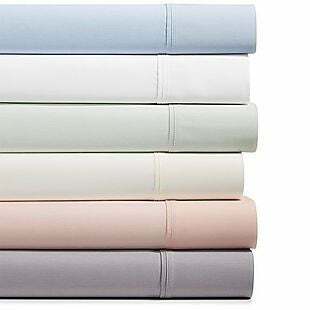 This Sunham Emory 420-Thread-Count 4pc Sheet Set drops from as much as $140 to $39.99 at Macys.com. Shipping is free when you spend $99, otherwise it starts at $9.95. Choose from queen, king, and California king at this price. This set includes one fitted sheet, one flat sheet, and two pillowcases. They are made of a cotton and polyester blend and fit mattresses up to 18" deep. Choose from six solid colors. Similar styles sell for $10 more. Sales tax is charged in most states. 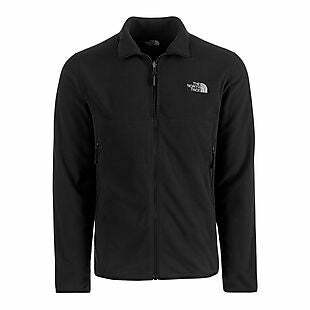 This men's North Face Glacier Alpine Fleece lists at $70, but you can get it for $35 during this sale at Macys.com. Shipping is free on orders over $75. Otherwise, it starts at $9.95. You can also avoid shipping fees when you choose in-store pickup. The jacket has a full-front zipper. It's machine washable. Sales tax is charged in most states. Get 70% off select sport coats, then use the code SALE in your cart for an extra 20% off at Macys.com. Shipping is free on orders over $75. Otherwise, it starts at $9.95. 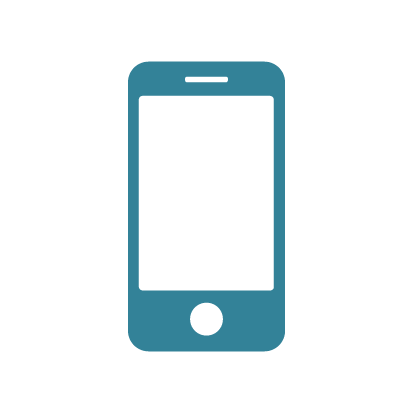 Alternately, you can choose in-store pickup to avoid shipping fees. 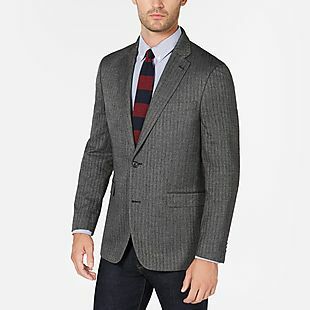 The promotion includes this Tommy Hilfiger Sport Coat, which lists at $295. It's already on sale for $69.99, and it falls to $55.99 with the code. This Corduroy Sport Coat falls from $295 to $39.99 to $31.99. Those are the best prices we can find anywhere. Sales tax is charged in most states. 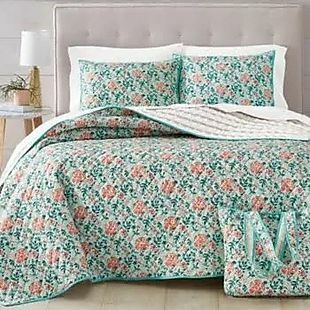 These Martha Stewart Traveler Medallion 2-3pc Comforter Sets, originally $180-$240, are now $71.99 in twin, $79.99 in full/queen, and $95.99 in king size at Macys.com. These machine-washable comforters feature reversible cotton covers. Shipping is free on orders over $75, otherwise it starts at $9.95. Sales tax is charged in most states. 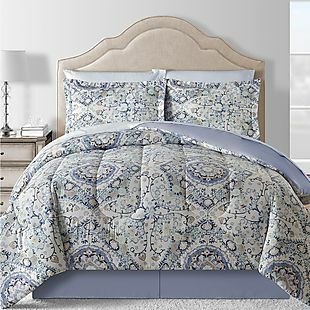 These 20-piece comforter sets drop from as much as $560 to $149.97 to $119.98 when you add code SALE during checkout at Macys.com. Plus shipping is free. This is the best price we found by over $30 based on similar sets. The pictured Connie Set is available in in queen and king sizes and this Carrington Gold Set is available in queen. An additional three sets are available in queen only. Sales tax is charged in most states. 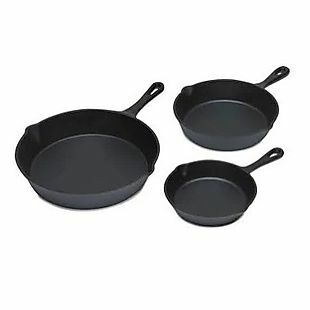 This Sedona 3pc Cast-Iron Fry Pan Set drops from $39.99 to $15.93 at Macys.com. Shipping is free when you spend $75, otherwise it starts at $9.95. You can also ship to your local store for free pickup. This is the best price we found by $9 shipped based on a similar set. It includes 6", 8", and 10" frying pans. Sales tax is charged in most states. 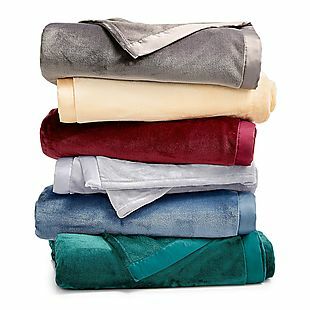 A Martha Stewart Collection Soft Fleece Blanket in twin, full/queen, or king size, drops from $50 to $16.99 right now at Macys.com. Or choose a Berkshire Plush Blanket (pictured) in the same three sizes for $16.99, no promo code required. Compared to original prices up to $70, these are the lowest prices we could find for these blankets. To avoid a shipping charge starting at $9.95, spend $75 or choose in-store pickup. Sales tax is charged in most states. Macys.com reduces prices on bras from Maidenform, Bali, Warner's, Playtex, and more to $16.99 from prices as high as $44. The pictured Bali Comfort Lace ‘n Smooth Seamless Underwire Bra drops from $40 to $16.99, and the Warner's Daisy Lace Wireless Bra drops from $33 to $16.99. These are the lowest prices we could find. Shipping starts at $9.95 or is free on orders over $75. Free store pickup may be available. Sales tax is charged in most states. 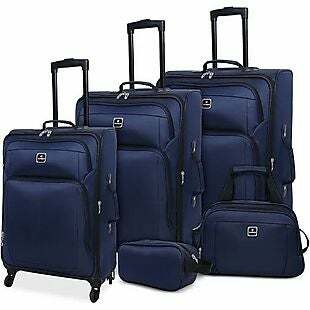 This Tag Daytona 5-Piece Luggage Set drops from $300 to $129.99 to $103.99 when you add code SALE during checkout at Macys.com. Plus shipping is free, making this the best price we found. 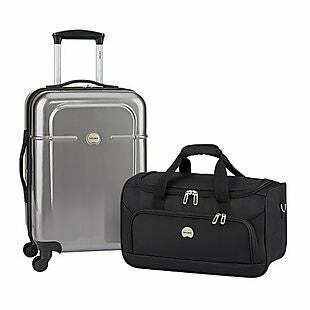 This set includes a 29" expandable spinner, 25" expandable spinner, 20" spinner, tote, and travel kit. Choose from three colors. Sales tax is charged in most states. 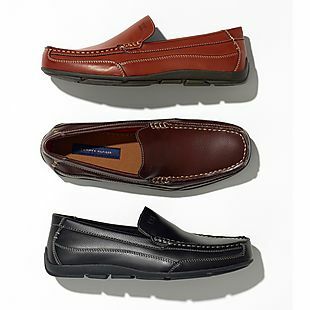 These men's Tommy Hilfiger Dathan Driver Shoes list at $70, but you can get them for $29.99 during this sale at Macys.com. Choose in-store pickup, or spend more than $75 to avoid shipping fees. Otherwise, shipping starts at $9.95. We can't find this style on sale anywhere else for less than $39.99. Choose from three colors. Sales tax is charged in most states. Get 50% off Jessica Simpson luggage, then use the code SALE in your cart for an extra 20% off at Macys.com. Shipping is free on orders over $75. Otherwise, it starts at $9.95. The promotion includes this Jessica Simpson Breton Pop 21" Spinner Suitcase, which lists at $240. It's already on sale for $119.99, and it falls to $95.99 with the code. That's the best price we can find anywhere by about $9. Sales tax is charged in most states. 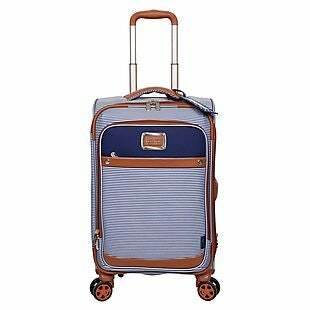 This Delsey Air Quest Carry-On Spinner with a bonus duffel bag was originally $300 and now drops to $79.99 at Macys.com. Plus it ships for free. We couldn't find this spinner for under $100 elsewhere, plus you get the free duffel bag. The carry-on spinner measures 21.5", and there are six colors to pick from. Sales tax is charged in most states. 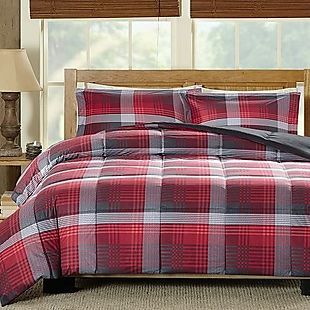 Four reversible Woolrich 2-3pc comforter sets, originally $100-$160, drop to $39.99 for twin, $55.99 for full/queen, or $63.99 for king size at Macys.com. These are the lowest prices we could find. Sets include a comforter and one or two shams. Shipping is free on orders over $75, otherwise it starts at $9.95. Sales tax is charged in most states. 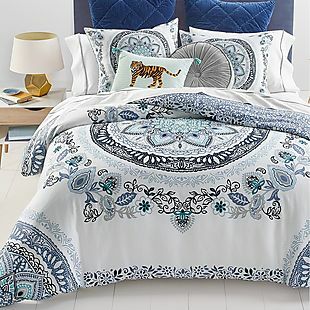 These Embroidered 7-Piece Comforter Sets drop from as much as $240 to $59.99 at Macys.com. Shipping is free when you spend $75 or else it starts at $9.95. Check your local store for free pickup to save on shipping. This is the lowest price we found starting at $10 for a similar set. This price applies to sizes from full through California king. Choose from 13 different sets, such as the pictured Sofina design and this Brissa design. Sales tax is charged in most states. 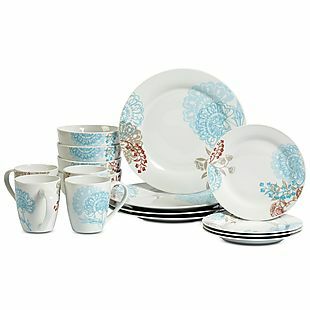 Shop Macys.com for up to 65% off Mikasa Dinnerware. 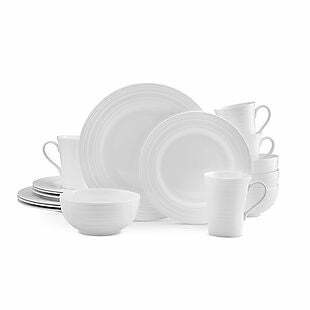 The pictured Ciara 16pc Bone China Set, once $240, is now $83.99, That's 65% off and the lowest price we could find. Shipping is free on orders over $75, otherwise it starts at $9.95. Sales tax is charged in most states. Choose from more than 150 styles of jewelry with prices under $10 during this sale at Macys.com. Shipping is free when you spend more than $75. Otherwise, it starts at $9.95. Some styles are 70% off. 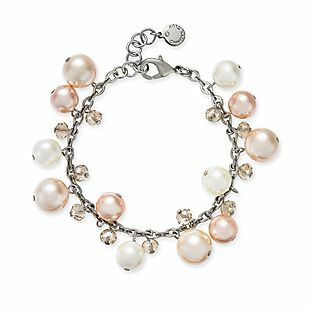 For example, this Imitation Pearl Link Bracelet falls from $29.50 to $8.76. This Double-Row Necklace falls from $49.50 to $14.76. Those are the best prices we can find anywhere. Sales tax is charged in most states. 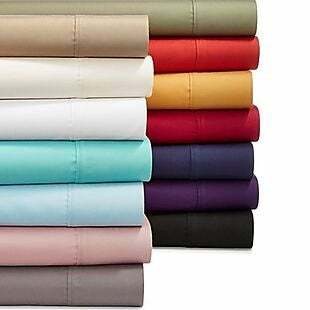 This AQ Textiles Grayson 950-Thread Count Cotton Blend Sheet Set drops from as much as $190 to $39.99 at Macys.com. Shipping is free when you spend $75, otherwise it starts at $9.95. You can also check to see if they are available for in-store pickup in your area to avoid shipping fees. Choose from full, queen, king, or California king. Similar sets are typically $20 more. This set includes one fitted sheet, one flat sheet, and two pillowcases. They are made of a cotton and polyester blend, and there are 14 colors to choose from. Sales tax is charged in most states. 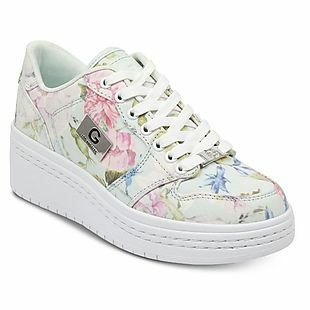 These G by Guess Rigster Wedge Sneakers, originally $69, drop to $34.50 at Macys.com. Shipping starts at $9.95 or is free on orders over $75. Even with a shipping fee, this is the best price we could find by $22 on the pictured style, and by $7 on any style. These shoes feature a 2" wedge and 1.75" platform. Sales tax is charged in most states. 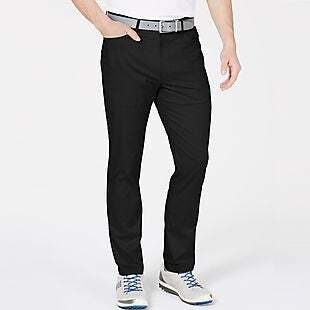 These men's Greg Norman Five-Pocket Performance Pants in several colors and a full range of sizes, regularly $70, are now $19.99 at Macys.com. Even with shipping starting at $9.95 (or free shipping on $75 or more), this is the lowest price we could find for these moisture-wicking slacks (compare prices here). Sales tax is charged in most states. 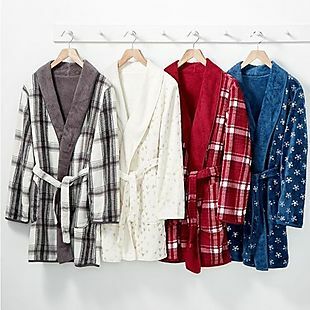 These Martha Stewart Reversible Plush Robes drop from $60 to $29.95 to $23.98 when you add code SALE during checkout at Macys.com. Shipping is free when you spend $75 or else it starts at $9.95. Avoid shipping if you ship to your store for free pickup. This is the best price we could find based on a similar product and a savings of 60%. Choose from four prints. They are 37.5" in length. Sales tax is charged in most states. 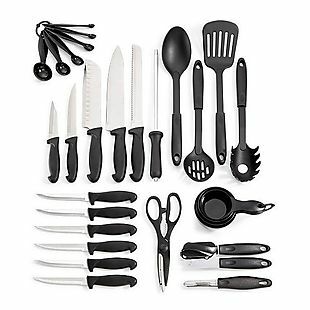 This Martha Stewart Essentials 30-Piece Cutlery Set, originally $70, drops from $39.99 to $31.99 when you apply promo code SALE at Macys.com. That's 55% off and the lowest price we could find. The set includes knives, measuring cups, serving utensils, and kitchen gadgets that meet a wide range of food prep and cooking needs. Shipping is free on orders over $75. Otherwise, it adds $10.95. Sales tax is charged in most states. This selection of women's Plus-Size Clothing is 70-85% off at Macys.com. Shipping is free when you spend $75, otherwise it starts at $9.95. There are over 300 styles to pick from in this discount range. The pictured women's Charter Club Plus Size Dot-Print Faux Wrap Dress drops from $99.50 to $14.96 in two colors. This is the best price we found by $35 for a similar style. Also, this I.N.C. Plus Size Long-Sleeve High-Low Sweater drops from $79 to $9.96, which is the best price we found by $20 for something similar. 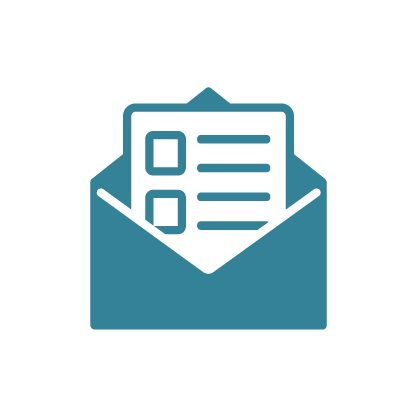 No additional promo codes can be applied to Last Act styles. Sales tax is charged in most states. Macy's charges a flat fee of $9.95 for shipping, but if you spend more than $99, your purchases will ship for free. They also offer free shipping on beauty sales over $50, and if you need to send something back, returns are free too! Frequent Macy's shoppers can save big when they sign up for a Macy's credit card. Card holders get frequent, members-only discounts on Macy's products, and earn 10 percent rewards on most purchases made on the card.